⇦ Episode #515 - War on Iran, Again? 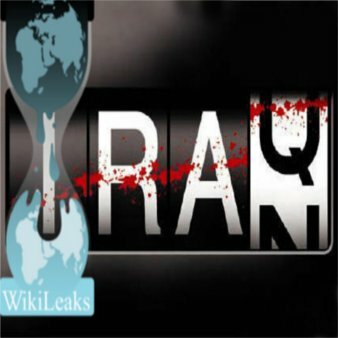 Is Wikileaks supporting US strategic interests? Download Hour1 Download Hour2 As the corporate media starts to spew forth anti-Iran propaganda, the alternative media are full of reports about the coming attack on Iran. This week in our first hour Webster Tarpley discusses why he expects war with Iran, and why he thinks Wikileaks is not what it appears to be. In our second hour, Stephen Kinzer gives a history of the first coup d'état ever organised by the CIA. "Operation Ajax", motivated by the desire to regain control of the nation's huge oil revenues, ousted Iran's elected prime minister, Mohammad Mosaddegh, plunging the country into 25 years of US-backed bloody dictatorship. Webster Tarpley starts the show by reviewing the evidence for the coming attacks on Iran. According to his analysis, Wikileaks is a "limited hangout" which supports the agenda of the global elites. Our second hour, less up-to-date but more straightforward than Webster Tarpley's interview, is 2003 a lecture by Stephen Kinzer on the contents of his book, "All The Shah's Men", about the CIA lead 1953 coup d'état in Iran. The British, who had lost massive profits from prime minister Mohammad Mosaddegh's decision to nationalise the Anglo-Iranian Oil Company, excited the interest of the CIA by raising the spectre of communism. While recounting the circumstances of the operation, Kinzer draws lessons from the events, pointing out that, over 50 years later, the world (and especially the US) is still suffering the consequences of CIA's fateful decision to exceed its remit of information gathering and embark on Operation Ajax, to oust Iran's popularly elected leader. Thanks to Guns and Butter for the Tarpley interview. This page was last modified on 5 April 2014, at 02:32.